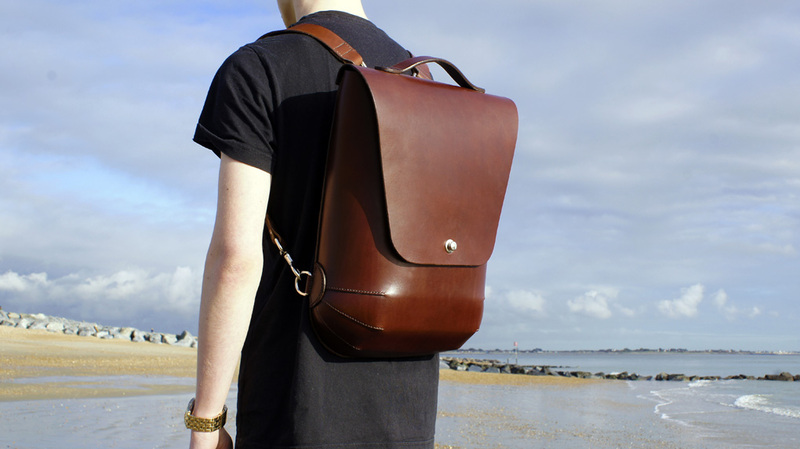 Welcome to Victory Leathercraft, English artisan makers of premium leather goods, based near Chichester in the UK. 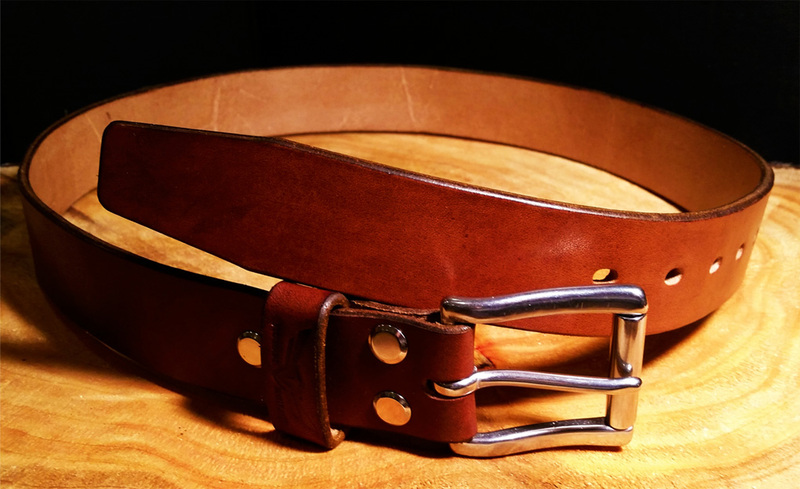 We craft such items as handmade leather belts for men, leather backpacks, minimalist leather wallets, custom watch straps and English bridle leather briefcases. Unusually for a modern manufacturing business, we choose to put quality first and not profit. I’d rather make one product that will last 100 years than 100 that will fall apart & be in landfill somewhere after 1 year. My philosophy is quite simple – select the best materials available, employ careful & thoughtful design then hand-craft in traditional ways using methods that will stand the test of time. I like to think that the purchaser’s heirs will fight over these leather items after they’re gone! Although I make a variety of small leather goods, the area I specialise in is that of handcrafted belts. I use English bridle leather and British made sand-cast fittings in solid brass or stainless steel. It’s not easy discerning top quality handmade leather belts from inferior ones. For this reason, I’ve made a page where I show you what to look for & the tricks that mass-manufacturers pull to get you to part with your money for their poor-quality items. The belts are top quality. Solid buckles, and exceptional leather. Looks and feel, without doubt, like a product to last a lifetime. A beautiful belt & buckle & on time, Please keep more of your Leather products coming our way. The belts have arrived, and are wonderful as promised. The look and feel are perfect, and it does even smell amazing. Very well done, and very happy. Just received mine. So far I’m loving every single bit of it, even the smell. Incredible job Peter. These are a tiny part of the great feedback I’ve received from very happy buyers. All are genuine & I’ll gladly provide links to the source for anyone wishing to verify these. 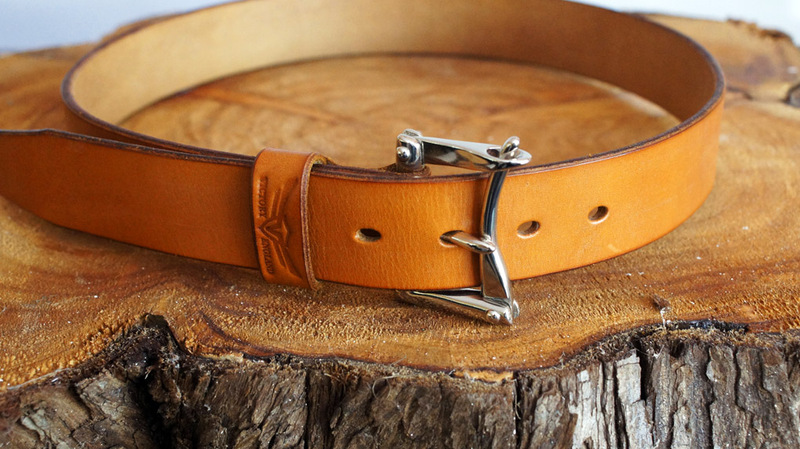 The original Victory Oak Bark handmade leather belt. Sometimes imitated but never bettered!